When walking by 111 N. Holden St. in downtown Warrensburg, a noticeable change is now present. Assorted works of art once decorated the building’s walls, which are now bare, and a “For Lease” sign is on display in the window. 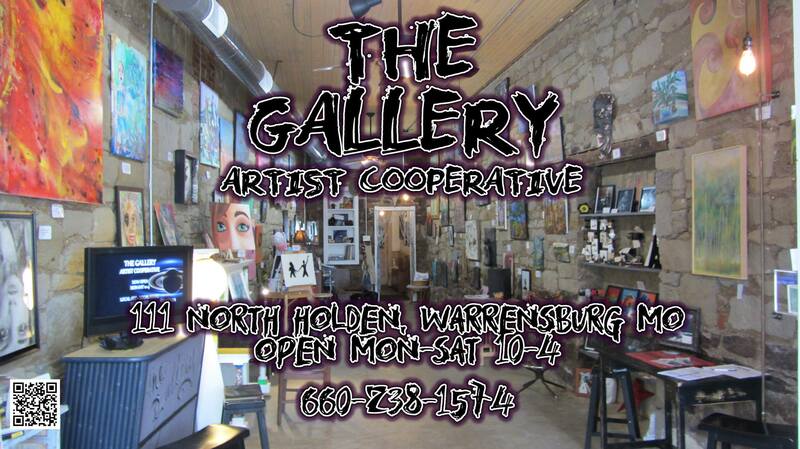 This was the location of the The Gallery Artist Collective, which closed Friday, Feb.2. The Gallery was the creation of Anne Steinbrunn and Jay Linhardt. Its closing marked the second venture Linhardt was involved with that’s fallen by the wayside within the span of under a year – he was the sound engineer at the The Bay, the Pine Street bar that closed in June. A few days later, the grand opening of The Gallery happened. The Bay was gone, but creative energy in the ‘Burg was still alive and manifesting itself at other locales. The reason for The Gallery’s closing was financial, Linhardt said he plans to continue to try and help build a more supportive environment for music and the arts. “Frankly, we couldn’t afford to do it, couldn’t afford the space anymore,” Linhardt explained. A few months ago, an online crowdfunding program for The Gallery was started with the aim of securing benefactors. “One hundred people paying10 bucks a month could have funded it,” Linhardt said. Linhardt speculates the timing might not have been right for such a facility to prosper locally. “I’m not saying that people didn’t support for a lack of want or desire to. Maybe a lot of people just couldn’t at the time,” Linhardt said. Linhardt said he thinks the lack of financial support wasn’t due to a lack of want or desire, but rather due to financial limitations among Warrensburg’s population. “I don’t blame anybody that they couldn’t support financially,” Linhardt declared. Linhardt now has his eyes on something less costly. He admitted the loss of The Gallery and The Bay is depressing for him, but his motivation to carry on in the face of adversity is connected to a belief in a greater cause, the belief that art and music are essential parts of life that benefit society at large.